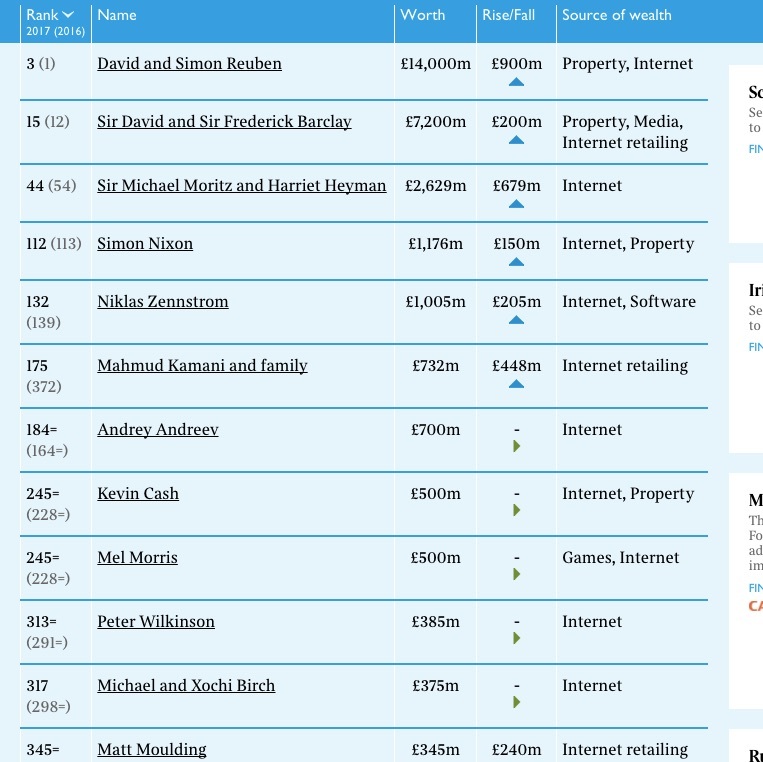 Billionaires of UK According to Sunday Times Rich list of 2017, there are 133 Billionaires in the UK. Most of them are born abroad and moved to UK later. Property still rules. I was curious to see how many of them are tech entrepreneurs. And fascinated to see some Northerners among the top, #SimonNixon of #MoneySupermarket and #MattMoulding of #TheHutGroup. These lists are always questionable – just guesstimates, e.g. Birch family has been based out of San Francisco since the initial traction of #Bebo. They certainly didn’t make money in the UK. But all makes fascinating reading including the 26 year Billionaire! Happy August folks!